When we set off for Cornwall back in August, I carefully selected--well, loaded onto the Kindle--several books that I'd been really looking forward to reading. And wouldn't you know it? When I snuggled into the corner of the sofa, mug of coffee in hand after a lovely day of wandering around little villages, none of them appealed to me. I started, and quickly closed, several books, frustration levels rising with every book that wasn't quite right for the mood I was in. Tell me I'm not alone in this! It's bloody miserable not being able to settle into a book. After utterly wasting half an hour, I headed over to my Amazon wishlist and treated myself to The Goldfinch in the hopes that it would manage to hold my attention for at least five pages. It held my attention for the next five days. Whist it was a definite page-turner I felt let down by Donna Tartt's writing. The book is proudly proclaimed (on the cover) to be a Pulitzer Prize winning book and I expected a lot more from it than I actually received. Don't get me wrong, it's a decent yarn. I got caught up quite quickly in Theo's story, rolling my eyes as he did particularly stupid thing, and cheering him on when he was making something of himself. (I spent rather a lot of the latter stages of the book wanting to throttle him, though.) I loved both Andy and Boris, such total opposites but providing perfect foils for Theo's state of mind and age at the time we encounter them. And Hobie! A fantastic character and vividly portrayed. Overall, the book is a coming of age story, with an interesting plot and about 100 pages of needless and paper-thin philosophy tacked onto the end. I've encountered deeper and more meaningful philosophy in Terry Pratchett books, which he deftly inserts throughout the narrative, so I didn't feel overly impressed by afterthought tacked onto the end. It felt very much as though Tartt suddenly remembered that she was writing "The Great American Novel" which must be philosophical and life-altering, so she tacked a bit on the end. 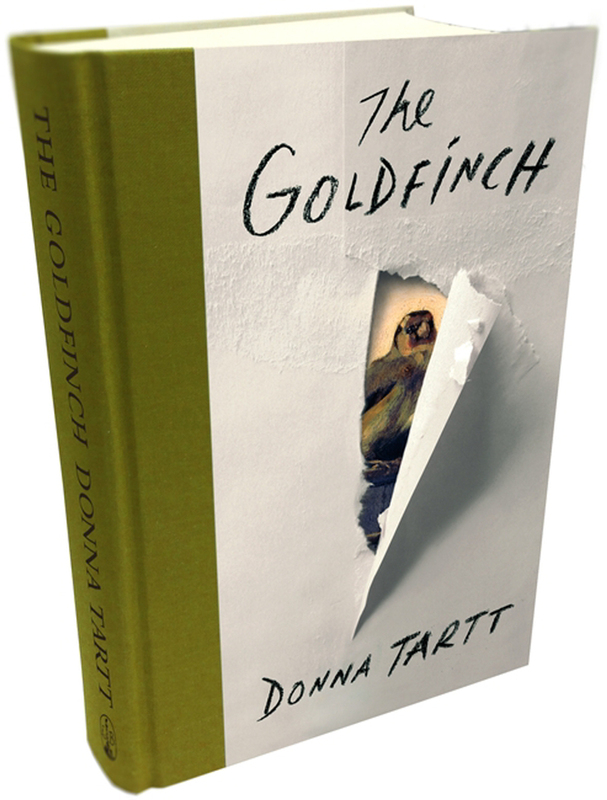 Don't get me wrong, I thoroughly enjoyed The Goldfinch--I kept sneaking off to read more of it after all--I just didn't feel that it deserved all of the accolades that have been heaped upon it. My advice is to take it out of the library and make up your own mind!